Toasted pecans and beef broth add flavor to this brown rice dish. Feel free to use vegetable or chicken stock instead of the beef. This is a nice side dish to serve with steaks or chicken. Measure broth, Worcestershire sauce, and hot water to make 6 cups of liquid. Bring to a boil; add brown rice. Cover and cook 30 to 40 minutes, until tender. In large skillet, heat the butter or oil and add the onions and celery; cook until just limp. Add pecans and toss until well mixed. Set aside, remove from heat until rice is cooked. 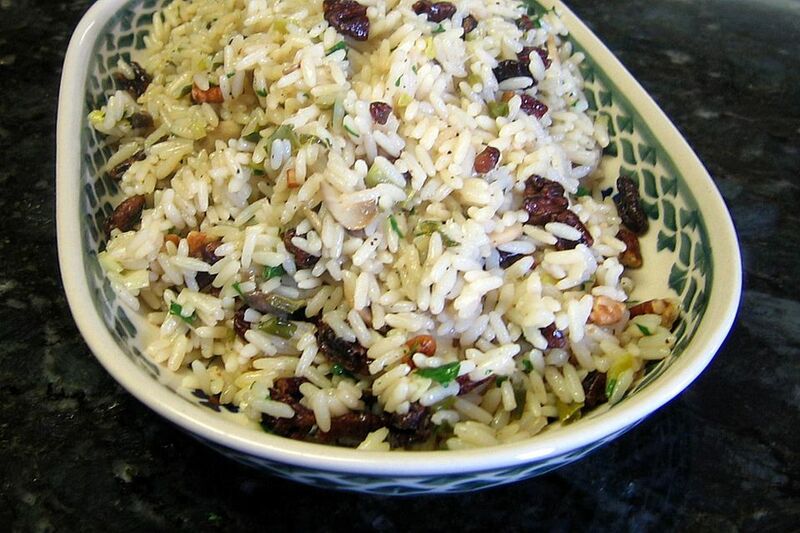 When rice is done, add celery, onions, and pecans. Mix well.